I’VE been busy tonight. Had a close encounter with an AC 3000ME earlier in the week and remembered just why I liked them so much. That’s why, instead of going to bed, I did some scribbling and added its story for your reading pleasure… I know, I have no life. It’s the usual story of failure and missed opportunities that overshadow a wonderful product – and that’s why it absolutely belongs on this site. Besides, after all the email beatings I’ve been getting about making the MINI our Car of The Decade (a decision I stand by given the bigger picture), I thought you’d enjoy a story about an automotive loser. Don’t get me wrong, I adore the 3000ME, and, given the chance, I will own one sometime in the future. Gotta keep telling myself that.I’ve also added a bunch more cars to the ‘Other Cars’ section of the website, which you’ll find by clicking the link to your right. Nothing that wasn’t on the site already, but stuff that probably needs a more regular airing. Anyway, take a look and enjoy some fascinating stories about the likes of Argyll, Midas (below) and Trident, which fit so neatly alongside the more established offerings from DeLorean, Rootes and, er, Ford. That’s a Metro based Midas you have in the picture. I should know: on the day I went to order the convertible version, they were fitting out the first 2+2 K Series based coupe, so I changed the order and got the K Series kit. It sold about 20 copies! That was 1996 and, 14 years later, we still have it and still love it to bits! (it is, I think, the only one built with a 16v Spi engine). I have soft spot for the AC,Midas(very smart Joe), Mini Marcos and the GTM COX. I seem to remember ‘CAR’ magazine really rating the Midas in its day, comparing it to a modern day frog eyed sprite. Keith keep the obscure stuff coming, your site has a good hit rate and its hard sometimes to track down some of the rare stuff and when you do its usually a bit vague, were as the content on AROnline is spot on. Obscure stuff gets my vote! Keep the stuff that doesn’t fit coming Keith – it keeps me occupied! 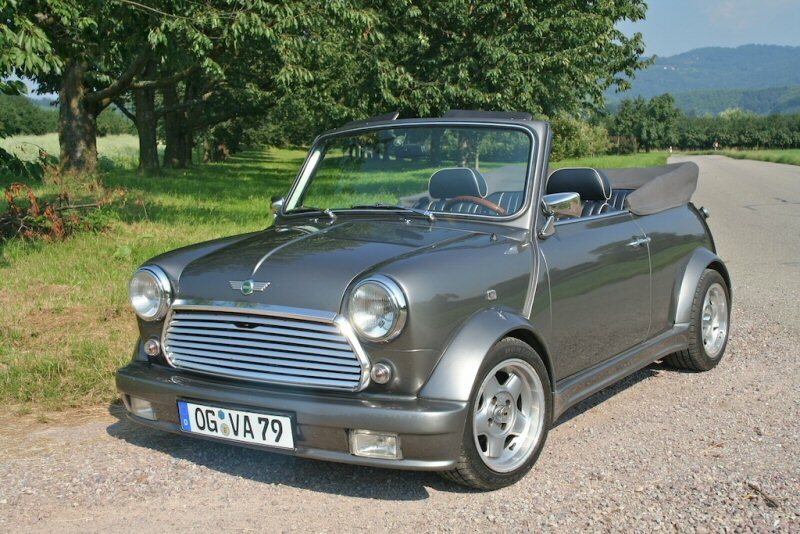 I just thought of another one the mini based ‘Unipower’ I’d love to know a bit more about that one.